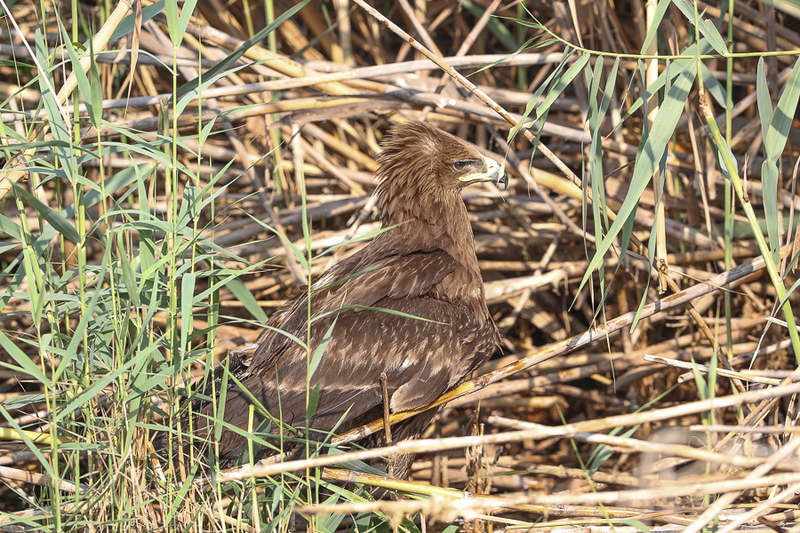 Whilst bird-watching in the early morning of 4 August 2017 at Jubail, Eastern Province Saudi Arabia, we saw a second calendar year Greater Spotted Eagle Aquila clanga. This is a very early record for the species and will relate to a bird that has spent the summer here. A point to note is that injured or sick birds may stay longer in their wintering areas than fit and healthy birds, and the bird we saw appeared to have an injured wing. The bird was healthy with a bright eye and could lift itself into the air but appeared not to be able to fly a long distance. The bird will presumably have been one of the wintering birds present last winter and thus must have stayed alive from April onwards in its injured state as all other greater Spotted Eales leave at this time. Hopefully its wing will become strong enough for it to fly and it will make a full recovery as although we got close the the bird we were not able to catch it. 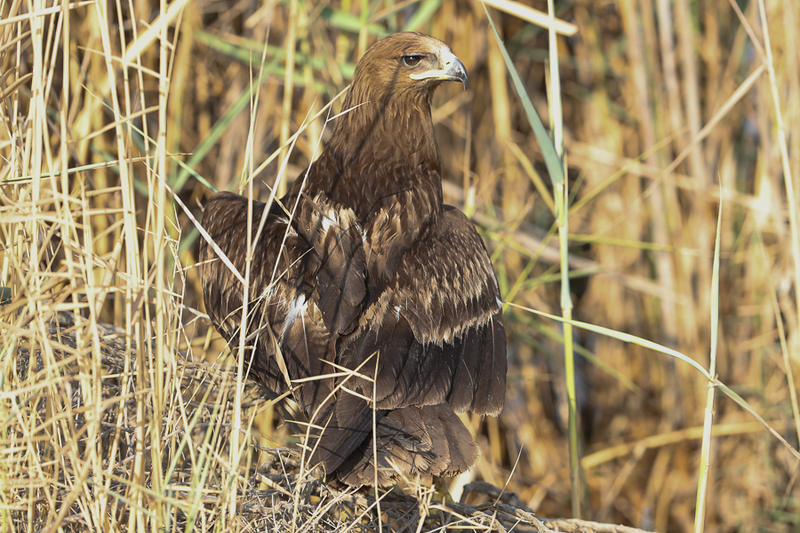 Greater Spotted Eagles winter in the Eastern Province of Saudi Arabia in small numbers, but there are only two published cases, of birds seen in June or July in this area. 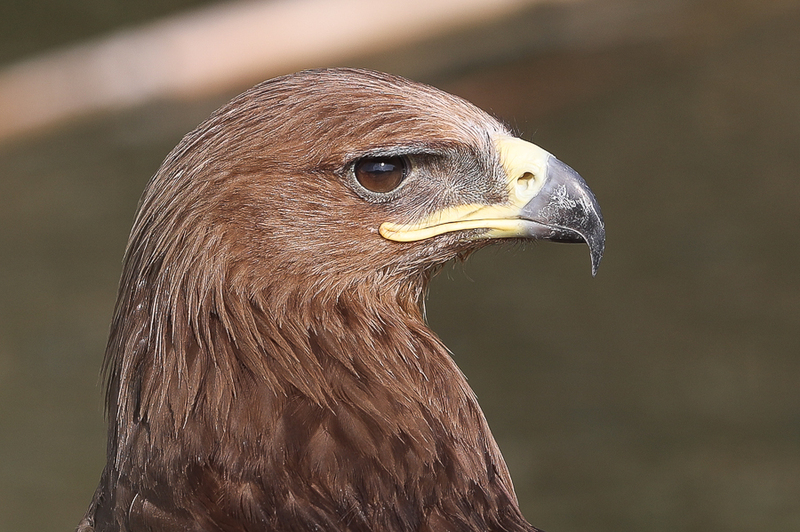 The number of sightings of the species in the Eastern Province of Saudi Arabia has increased in recent years suggesting the wintering population in the Arabian Peninsula is increasing. Birds wintering in Saudi Arabia are generally present from late September until late April or early May.